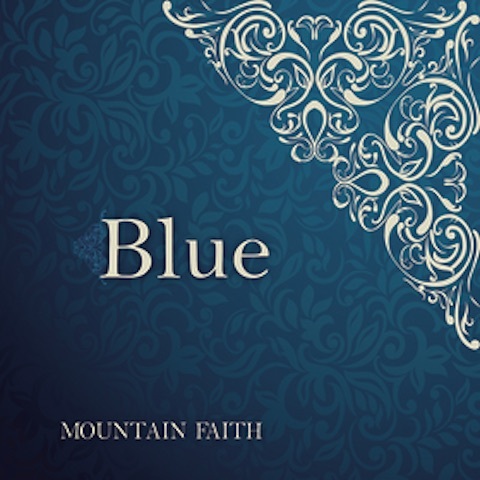 The pride of Sylva, North Carolina, bluegrass group Mountain Faith, releases Blue, their debut project on Mountain Fever Records today. Their first single from the album, “Feelin’ Blue,” hit radio recently, showcasing the groups singing, playing and instrumental prowess to a national audience. Blue offers more insight into the band’s unique style and spotlights their ability to combine both traditional and contemporary bluegrass, classic and modern country, folk, acoustic, and contemporary gospel with a touch of rhythm and blues. As a result, the music is pure, fresh and upbeat in a presentation all their own, and recognizable as theirs rather than a formulaic presentation of something that is already out there. This is without a doubt the freshest and purist music that I have heard in some time….Hard work is never hidden and here is the proof – Marty Raybon. I met Mountain Faith a few years back and was immediately impressed with their strong vocals and talented musicianship. They continue to sound better every time I hear them. I consider them to be one of the best young bluegrass bands in the industry – Sierra Hull. The release of the album comes on the heels of their recent performance on RFDTV’s “Larry’s Country Diner” last month where they fit right into the network’s desire to offer viewers wholesome, down-home, family oriented entertainment for their nationally broadcasted variety show, known for its spontaneity, impromptu dialogue and live-to-tape performances by the best country music artists of yesterday and today. Band members include Sam McMahan on bass, Luke Dotson on guitar along with lead and harmony vocals, new member Cory Piatt on mandolin, Summer McMahan on fiddle along with lead and harmony vocals, and Brayden McMahan on banjo and harmony vocals. Summer’s strong vocals are a hallmark of the band, putting her squarely in the middle of some of today’s powerhouse young female bluegrass vocalists on the rise. The band raised eyebrows at the last SPBGMA awards as the only band to have all members but one nominated for instrumental awards. For more information on Mountain Faith, visit MountainFaith Website or Mountain Fever Records.